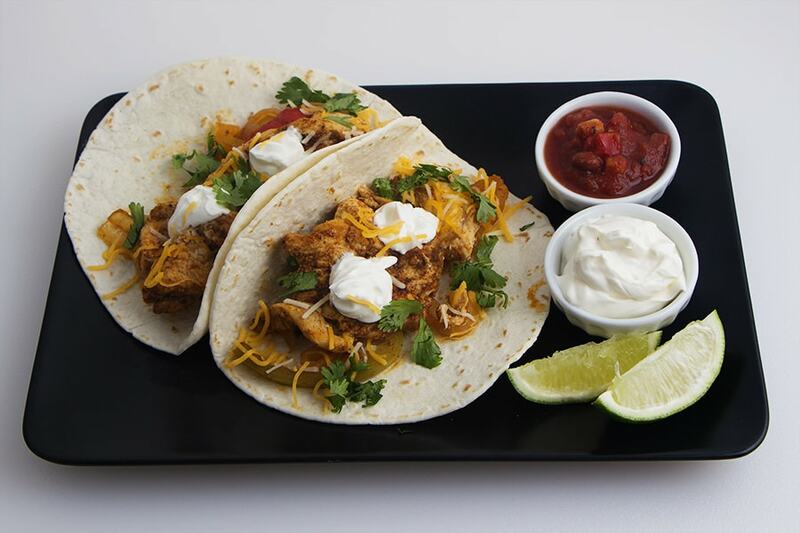 Fajitas seem to always bring excitement to the dinner table – whether it’s chicken or steak fajitas. I have become a fan of that extra flavor added to the fajitas when it’s cooked in a cast iron skillet. It just tastes so good!! But – we don’t all own a cast iron skillet much less one that would do any justice to this meal because they have to be properly seasoned. 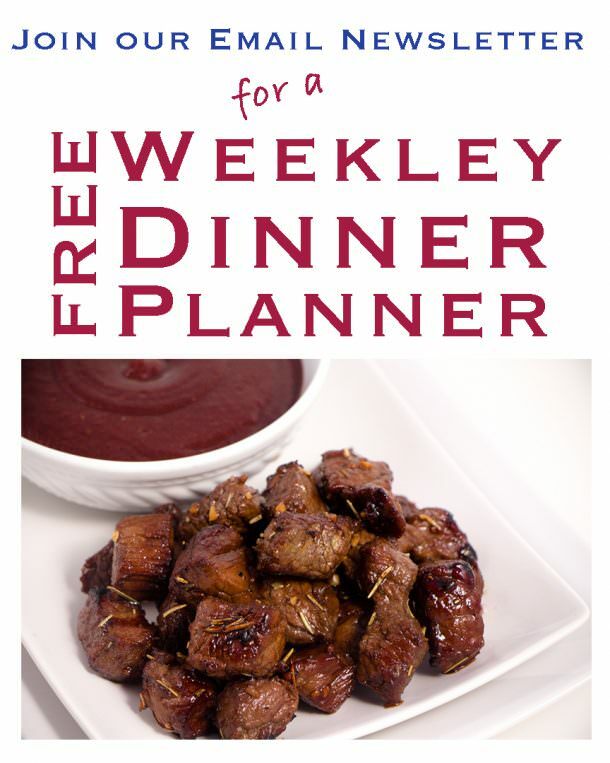 So how do we get that same rustic flavor without all the hassle? Well, Oven Baked Chicken Fajitas are the answer. I was skeptical at first, but I assure you, I was hooked! They are really pretty quick to throw together, and then you have time for other things while they cook. I found my vegetables still had that crispness I desired but yet cooked and so flavorful. Of course the chicken was cooked through perfectly! Topped with a dollop of Daisy Sour Cream and it truly hit the spot! Have you seen the new squeeze bottle Daisy Sour Cream?? I was skeptical at first thinking it was just another gimmick to buy their brand. I tried it and amazed. Mostly because the sour cream came out a nice even consistency which often times is either too think or has accumulated watery juices on top that you need to stir back in. I’m even more thrilled with the idea that my sour cream won’t be filled with leftover pieces of cheese or salsa after trying to convince that spoonful of sour cream to drop onto your food! I think the new container of Daisy Squeeze Sour Cream is ideal. I’m certainly a fan. Try it out for yourself and let us know what you think of the product! Daisy also provides some great recipes too. 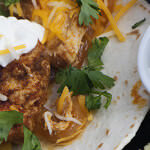 Check out their recipe link for more ideas of what you can do with sour cream. 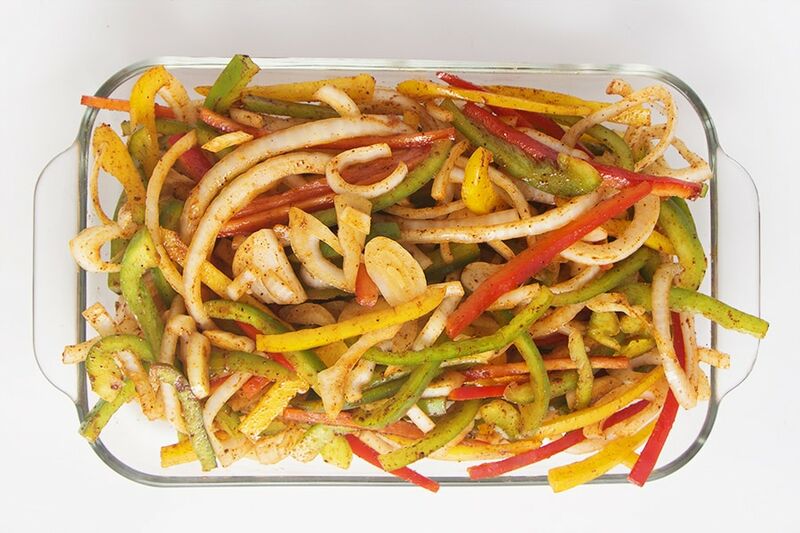 Oven Baked Chicken Fajitas are perfect for entertaining a large group or just a casual evening at home. Missed Taco Tuesday this week? 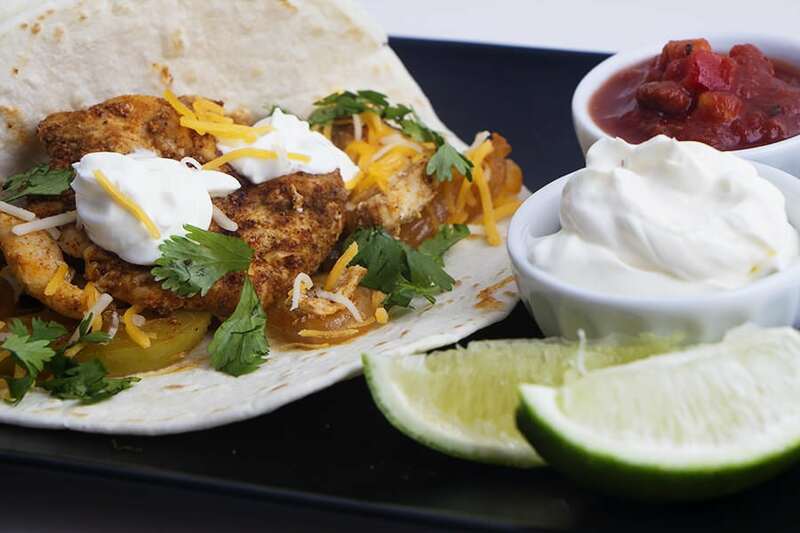 How about Fajita Friday?! Cut the Onions and Bell Peppers. Slice them into thin strips about 1/4-inch or less. Place them in a large mixing bowl. 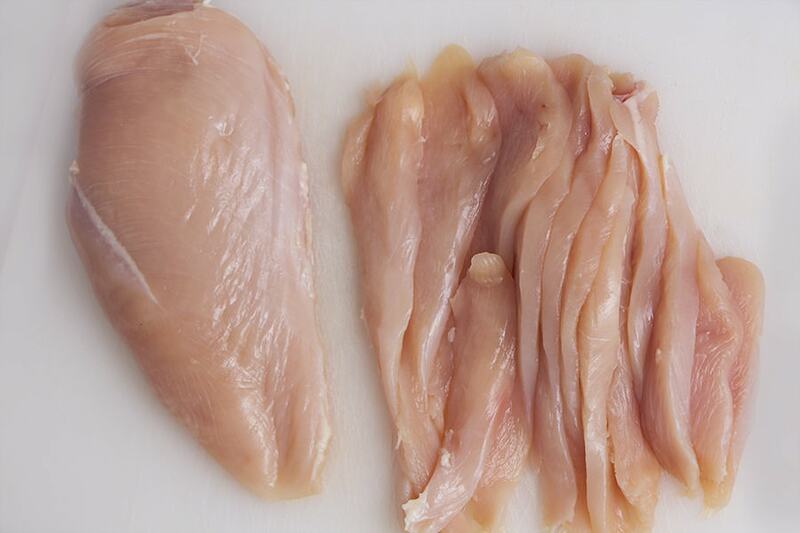 Slice the chicken into thin strips. Place on top of the vegetables in the mixing bowl. Sprinkle the seasoning over all the chicken and vegetables. Then lightly cover everything with the vegetable oil. 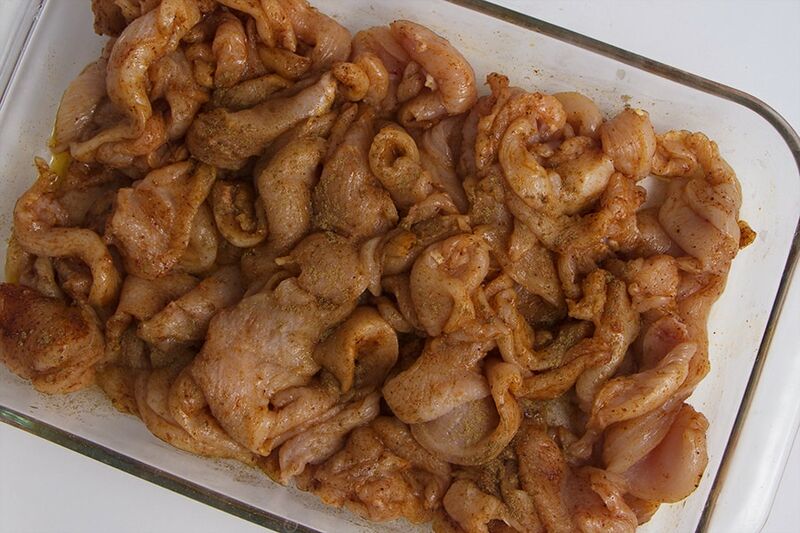 Once the seasoning and oil are on, use your clean hands to toss and mix everything together. You're good to go once you can see the seasoning and oil on everything. Place chicken and vegetables into a 9x13 casserole dish.Bake in the oven for 35-40 minutes. Stir once after you make it to the halfway mark. Squeeze lime juice over chicken and vegetables. Scoop a small amount into tortillas. 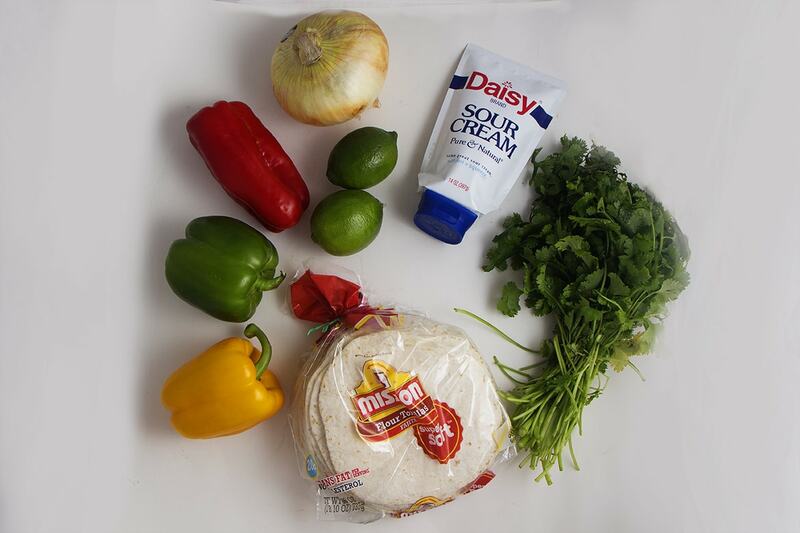 Add Salsa, Cilantro, Cheese and put a dollop of Daisy Sour Cream on top!